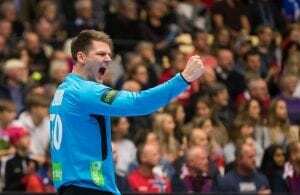 European Handball Federation announced a list of nations who are ready to organize the best handball product – EHF EURO events in 2018 and 2020. “We are delighted by the amount of expressions of interest we received from our member federations,” said EHF President Jean Brihault. Expressing an interest was the first step in the bidding process. Formal applications have to be handed to the EHF by 10 December 2013. The EHF Executive Committee will then confirm all applicants at its meeting on 13/14 December 2013. A final decision on the hosts will be made by the Ordinary EHF Congress set to take place in Dublin, Ireland on 19/20 September 2014. Next Story → NEWCOMER IN DKB BUNDESLIGA: Jose Hombrados to HSG Wetzlar!